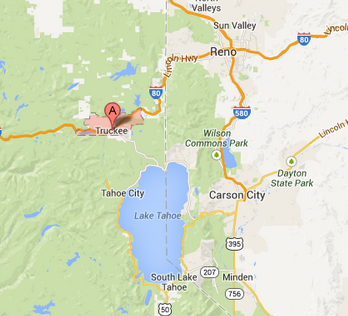 Our company is located in Truckee, Calif. A small mountain town with easy access to Reno, Carson City, South and North Lake Tahoe. We can also accommodate clients in Sacramento and and San Francisco. Our fees are based on several factors; length of your event, number of photographers contracted and if rush delivery is needed. Please contact us so we can discuss the details of your project and we will put together a comprehensive proposal for your review. Who will be shooting my event? We have a network of trusted photographers and videographers who have experience shooting events of all types from weddings, corporate events, commercial photography, advertising ,extreme sports and editorial projects. Prior to your event our office will contact you with the name(s) of the photographer(s) that will be working with you. Each event is edited for content (meaning you’ll never see a photo with your clients eyes shut or stuffing food in their mouths!) You will receive your images in JPEG format that are ready to be used from the moment you receive them. In addition, you will have a second web friendly copy of your photos sized to 1000 pixels on their long side. These images are a great size for quick on-the go updates or for distributing to smartphones, email, social media etc.. Every image is hand touched and color corrected to make them look their absolute best. Our official answer is two weeks but we often deliver projects within five days depending on our current workload. We offer same day and rush services when needed for an additional fee. When booking our services please make sure to let us know if you are working with tight deadlines. How will you deliver our project? We delivery most projects via DVD. Larger events, or clients who request may choose the option to have their images delivered on a portable hard drive provided by you. If you don’t have an external drive we can supply one for you at cost. You may also request your images to be uploaded to a password protected online gallery which you may share with your clients or guests. Offering prints and digital downloads are optional at your discretion. What type of gear do you work with? We use only top of the line Canon, Nikon and Sony equipment for shooting and work with industry standard editing software. What if we have to cancel our event? Upon booking our services we collect 1/2 of the total fee with the remainder due the day of, or no later than net 30 days after your event. Should you need to cancel your event the initial payment would be forfeited. Yes, we are insured and can provide you or a venue with a certificate of insurance. Easy. Call or send us an email so we can discuss your project and send you a proposal for review. We are currently looking for an event coordinator to help design and manage events. Please contact us to discuss opportunities. Send us an email with any questions or to let us know about your event.